Passengers can secure a seat with extra legroom up to one year in advance. On selected Austrian Airline flights, choose from a range of 9 different menus for just €15. 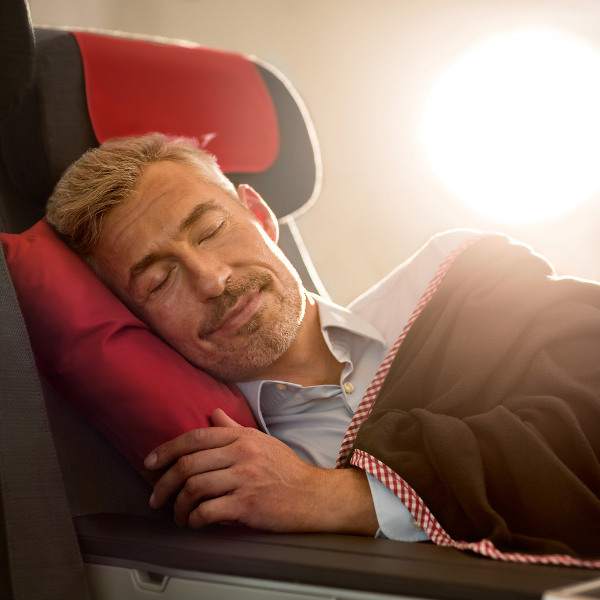 Enjoy world-class comfort aboard any of Austrian Airlines’ aircraft. From luxurious seating to onboard perks, you can arrive at your destination relaxed. Austrian Airlines is the flag carrier of Austria and is the country’s largest airline, operating a worldwide network of around 130 destinations. Tracing its history back to 1923, Austrian Airlines has grown to be the trusted airline of choice for travellers wishing to explore the beautiful country of Austria. Situated at the heart of Europe, Austrian Airlines operates out of Vienna International Airport and is an ideal hub between the East and West. Fly with award-winning Austrian Airlines and experience their first-class customer service. Austrian Airlines was awarded as “Best Airline Staff Service in Europe” at the Skytrax World Airline Awards in 2015. 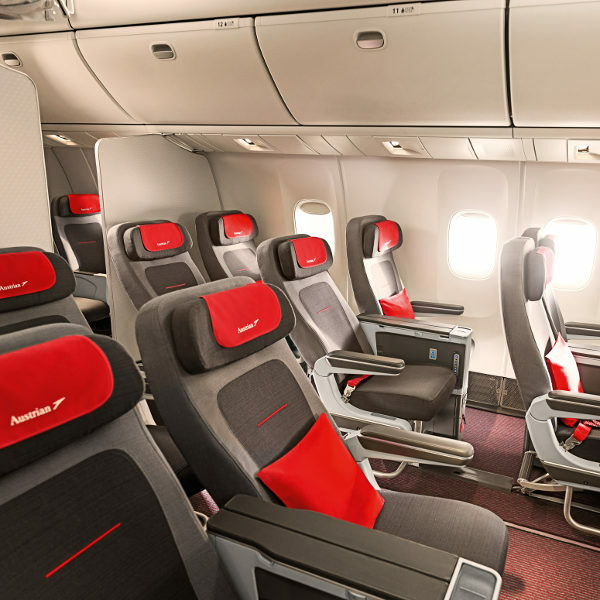 Austria's national carrier also took first place in Best Business Class Catering category, and was also ranked among the top five best airlines in all of Europe. Book Austrian Airlines flights to Vienna, Barcelona, Amsterdam and other exciting places! *Children under two years of age get only one bag not to exceed 23kg, in any class. Additional and overweight luggage incurs an additional charge. The amount of carry-on baggage you may take on board depends on the cabin class you have booked. Business Class – 2 bags each not to exceed 8kg each. Carry-on luggage in any class is not to exceed 55x40x23 cm in dimension. Austrian Airlines offers online, curbside, kiosk, and service-counter check-in options for your convenience. At selected locations, you can even use the Austrian App for Android or iPhone to get an electronic boarding pass sent directly to your phone – no need to even have a printer! Austrian Airlines online check-in opens 36 hours prior to departure, and ends one hour before take-off. You will need your E-ticket number or booking code in order to check in online. If you have luggage to check in, find one of the “Baggage Drop” counters (at terminal 3 in Vienna) to leave your luggage. You cannot use online check-in if you are flying with a codeshare partner. On selected flights, myAustrian passengers can stay connected with access to the internet on their mobile devices on the inflight connectivity. With eJournals, you can choose from a wide variety of daily newspapers and the latest magazines. Stay entertained with 500 hours of video and audio entertainment.